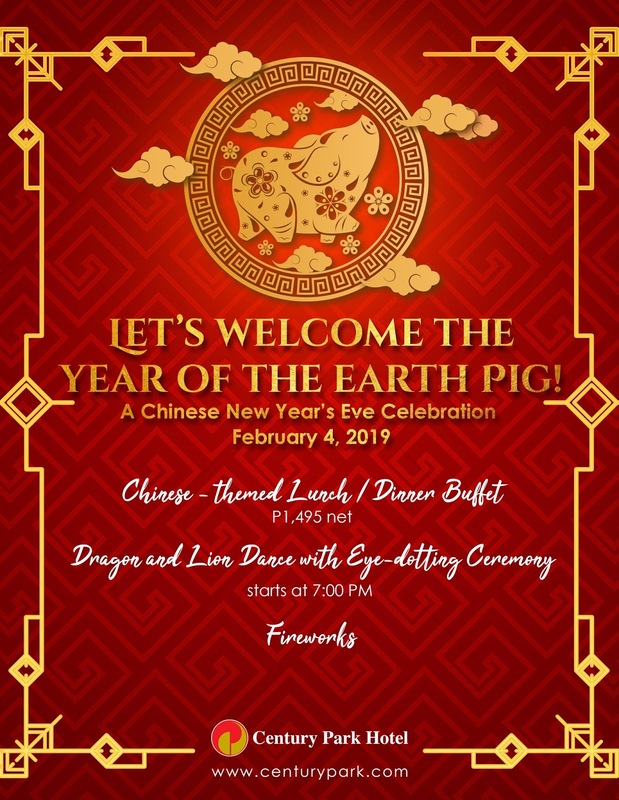 Manila, Philippines –Century Park Hotel (CPH), one of the finest hotels in Manila, is set to welcome the Year of the Earth Pig with a bang. Launched in 1976, the Century Park Hotel remains as one of the finest hotels in Manila. It is owned and operated by Maranaw Hotels and Resort Corporation and enjoys a mix of local and international patrons. The renowned establishment has over 500 rooms in varied types and facilities for a complete dining and leisure experience. 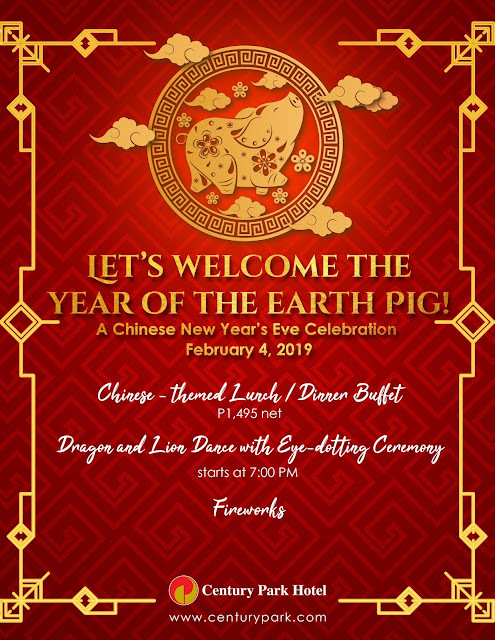 To know more about Century Park Hotel, visit www.centurypark.com or contactinformation@centurypark.com.ph and telephone number: (632) 528-8888.